This new thread is for reporting any cases of draw refusal that you desire the MT to review in 2017. Remember, if you don't include adequate proof, in the form of screenshots and/or videos, your claim will not be heard by the MT, and your post may be hidden. Please note that any cases still in process/pending from 2016 will be addressed by MT here, and questions concerning them can be discussed here also. The 2016 topic will soon be moved to the archive, where it may still be viewed, read-only. Any response on cases from the old thread will have to be made in this new one. 3.1.1 Fair Decisions and Punishments: The number one goal of the MT in regards to draw refusals is to provide fair decisions to victims and fair punishments to violators. As draw refusals are one of the worst offenses of unsportsmanlike behavior on the site, the punishments listed below will be harsh, though we feel fair. We hope that the tough penalties and all the publicly viewable cases (here: http://forum.strateg...sals-here-2016/) will help to educate the community as to the nature of draw situations, and to contribute in reducing their abuse. 3.1.2 Types of Draw Refusal: There are two types of inappropriate draw refusals. The first is a clear draw and occurs when neither player can win the game. One example of this is a miner-less game with protected flags for both players where, in the absence of a gross mistake, neither player can capture his opponent's highest piece. A player with more pieces may try to confuse his opponent by shuffling his pieces, or he may try to lotto them in an attempt to see if a flag is unprotected, but if he fails in these things it is considered unsportsmanlike to continue this type of game and hope his opponent will eventually quit. Any player who denies two tie requests ten minutes apart in this situation (see Article 3.4.2 on "Ten Minutes") is subject to the penalties listed at Article 3.2 below. The second type of draw refusal is a no-progress draw and occurs in a game in which one or both sides have the potential to win but no improvement is being made by either side. If one player requests a tie, at any time in the game, and is refused, then it is the responsibility of the player who refused the tie to take the offensive and to try to advance the game toward a resolution. If he does this, then the draw situation is deemed over. If he does not, and also does not accept a second tie request ten minutes after the first one (see Article 3.4.2 on "Ten Minutes"), he will be subject to the penalties listed at Article 3.2 below. 3.1.4 The Basic Draw Rule: It does not matter if either player has better units or more units (i.e., superior material), no one "deserves to win" if he cannot capture the flag or all of his opponent's pieces. First Offense – A 100 point rating deduction and a written warning emailed from the admins. QA penalty: one week ban. Second Offense – An account reset down to 100 ELO and a second written warning emailed from the admins. QA penalty: one month ban. Third Offense – A permanent ban, a public forum announcement, and an emailed notice from the admins for both regular and QA venues (must comply with 1.8 Permanent Bans). The Moderator Team will acknowledge your case in, and render decisions in, the above topic. The time from your computer visible in all screenshots. The graveyards of both players visible in all screenshots. 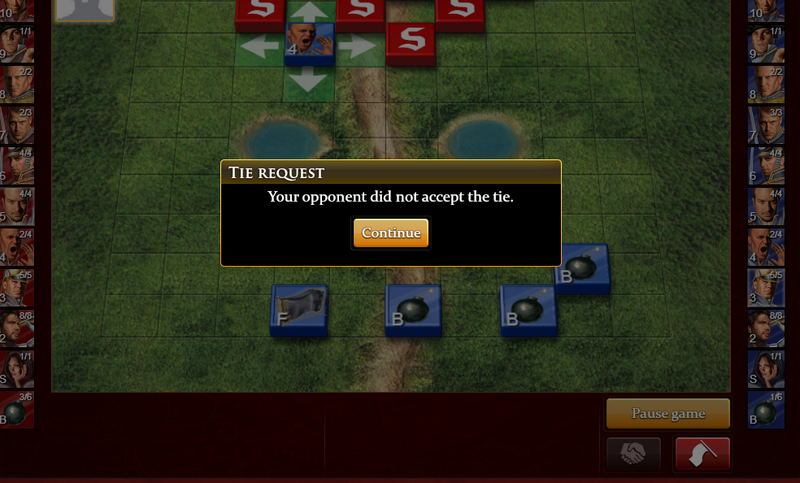 Two screenshots of your opponent rejecting two tie requests 10 minutes apart. These screenshots should ideally show all pieces on the board and no progress in the game during that time. Any relevant chat dialogue, particularly by your opponent. Little or no use of your own buffer shown in the screenshots. The defeat details screen is very important. The MT will not uphold your claim of draw refusal without it or other evidence that you have lost the game. There should be no progress in the game between final tie refusal and the defeat details screen. 3.4.2 Ten Minutes Is the Gold Standard of Proof: Please note from the above that what will make a strong case for any draw refusal claim is to give us two time-stamped refusal screenshots taken ten minutes apart, showing all pieces on the board, plus a defeat details screen. If no progress is made between any of these three screens, the MT will always view this evidence as solid proof of the guilt of the draw refuser. Anything less and we may concur with a claim, or we may not. In accepting less than ten minutes of evidence, the factors that we consider will include: the nature of the draw situation, the actions of the draw refuser after a tie refusal, and the experience level of the players involved. But nothing is guaranteed in this area. If you want to be absolutely certain the MT will uphold your case, give us ten minutes of no-progress proof and a defeat screen. 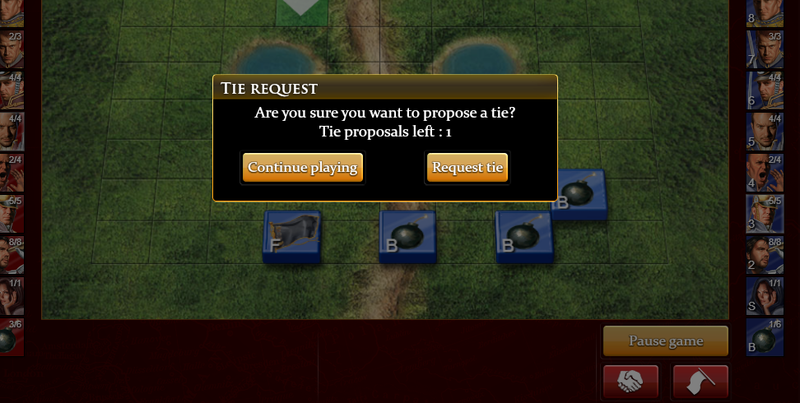 3.4.3 System Tie Requests: The tie refusal screens mentioned to this point are system tie requests. You have three of them to offer by pressing the tie request button on your screen. It is a good habit to always take a screenshot when you have a tie offer refused. To meet the requirement of two system tie refusal screens for a strong case above, you may use any combination of the screenshots of your 1st, 2nd, or 3rd tie refusals by your opponent. Just make sure there is no progress in the game for ten minutes in the screens that you show us. You may, of course, show us all three tie refusals. Also, please note that a grayed-out tie request button can indeed mean that all three of your system tie requests have been used up, but it does not necessarily mean this when certain message boxes are showing, such as a tie refusal notification box or the defeat/victory details screen. In addition, although clearly of interest, a grayed-out button does not in itself show the time information necessary to prove your case, so don't rely too heavily upon it as evidence. 3.4.4 Tie Requests Made in Chat: Requests for a tie that are made in a game chat can be substituted for a valid system tie request if necessary, but will always be a poorer form of evidence. For one, your opponent may not understand you. For two, unless your opponent definitively replies to your tie request in the chat, a mere request by you is no clear proof of his intent. It is always recommended, therefore, that these types of chat offers contain the opponent's response and that they be used in combination with other evidence. 3.4.5 No Changes in Proof: Keep in mind that any changes in the situation of your game during the evidentiary period, even to the loss of a single piece, may invalidate all of your proof. Further, if you change your mind and try to win the game after beginning the draw process, that is your right, but you will risk the potential draw that you sought. After progress has been made on the board you may no longer go back and claim a draw refusal from earlier in the game. 3.4.6 Defeat is Required: Should the game you are claiming a draw refusal on end in either a tie or a win, the MT will not hear your case. 3.4.7 Buffer Run Outs: If a player seeking a draw captures all the necessary screenshots for proving his case, but then runs out his buffer, the MT may still consider his case for draw refusal if the evidence is submitted to us. Please make a claim to us if this happens to you. 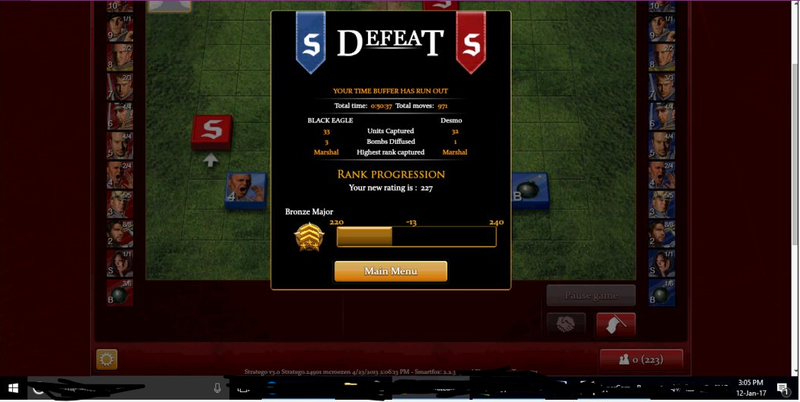 3.4.8 Surrendering the game: After you have collected screenshots of at least two tie refusals ten minutes apart (see Article 3.4.2 on "Ten Minutes" above), you can safely surrender the game. Remember to next take a screenshot of the “defeat details screen". (This is the one that tells how long your game lasted, how many moves were made, etc.) If you provide this evidence of tie refusals, and that you have surrendered, and if we agree your opponent is in violation of our rules, the MT will take away 13 points (which is the difference between a draw and either a loss or win) from your opponent's rating and restore it to yours. Also, your opponent will be subject to a further point deduction penalty or permanent banning. (see Article 3.2 above) Unfortunately, we cannot fix any player's win/loss records at this time. 3.5 Guilt Must Be Proven/No Courtesy ELO Restorations: The Moderator Team will require enough evidence to establish the guilt of the draw refuser in order to uphold a draw refusal case. In the past the MT has given 13 points as a one-time courtesy restoration when the bad sportsmanship of a draw refusing opponent was not concretely proven and no draw refusal penalty points were deducted. However, we now feel that giving points to a victim but not simultaneously punishing a draw refuser ultimately helps no one. The victim is rewarded too easily and the guilty party is not given a fair and just penalty to inform him of his bad behavior. Both will be unenlightened and likely to repeat the same event again. So if the MT agrees with a draw refusal claim, one person will be vindicated and one person will be punished. We will no longer offer a one-time courtesy to players whose proof falls short of convincing us of the guilt of their opponent. 3.6 Other Unsportsmanlike Behavior: For any egregious unsportsmanlike behavior not covered in Articles 2, 3, or 4, or excluded by Article 8, the Moderator Team will look at the claims. Sufficient evidence to establish the guilt of the defendant may require video proof. Actions by the MT may include anything from points restorations/deductions to permanent bannings. All cases will be judged separately. Remember that all accusations require proof. If you have opened a complaint without the necessary evidence the only action the MT will take is to hide your post. Guldin posted the following to the old draw reporting topic from 2016. I have copied it here since it wasn't acted upon yet in the old thread. i have 2 open and shut cases that i have been waiting to report. the only reason i didn't report these yet is because i was waiting to get my justice on my report with kyrostav. i was told that i won my case, yet i was never given back my points that i was promised. so this really turned into a serious waste of time for me. hopefully by reporting these next 2 players who clearly violated the rules i can finally get some justice for all of the time i have spent trying to do so! Draw refusal vs KingTubby. I had his miner pinned to my major. His sergeant pinned to mine. He did nothing but run around the lakes. Draw refusal vs Zarkhah 2.
http://image.noelsha...eryannoying.png => Here it is. 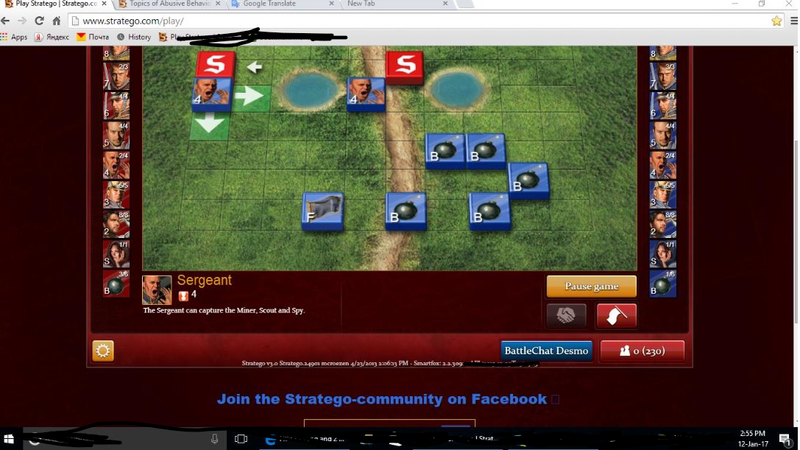 My captain vs his major and his scout. We ran out of miners, his major wasn't able to reach me, so it was a pure draw. http://image.noelsha...yingplayer3.png => My last tie request. http://image.noelsha...yingplayer6.png => Finally I surrender. I hate that kind of players omg. Edited by JeuDuFN, 10 January 2017 - 02:43 AM. I hate reporting draw refusals from a mobile device, but here goes. Unfortunately there is no way to prove how much time passed, but I would like to point out the different positions of my pieces and the chat box. To make matters worse, due to a disconnect, the graveyard "reset." I was not able to screenshot one draw refusal due to a misclick, but the two screenshotted refusals were taken 10 minutes apart. The bottom line is that we were at a stalemate. He had my pieces pinned, but could not commit to making a capture without me blitzing his flag with a miner that would be freed. I had three miners in play, he believed my remaining scout was one of them. One miner was pinned by his marshall, another moving periodically (as shown in some screenshots), and one more miner is on my back rowis not shown. I can produce an additional partially redacted screenshot if necessary. I hope for a favorable decision from the MT. Do you have an Android or Apple device? If Android, then you can go to the new pinned link I made and see if that helps. I have a Samsung 5 and it works adequately for me. One problem besides the times that I can see is your lack of graveyards. You have the one but it is confused. Was there a disconnect to cause it to foul up so? I have an iPhone. And yes there was a disconnect that I mentioned in the original post. Yes you did. Sorry about missing that. You will have to research a bit on the iPhone to see what's possible for timestamps. There was a fellow a long time ago who posted what to do for an iPhone but I don't remember the info. I'll see if I can't find the link. With regret, I have to report HALAL MASTER for refusing a draw. He made no attack in the entire game. I am trying to learn to attack properly so I can beat this type of player. I hope this evidence is sufficient. The MT finds HALAL MASTER guilty of a draw refusal in this case. As this is his second offense his account will be Reset to 100 ELO and 13 points will be added to MTinsley for the draw. Will a case be opened? The above is a link to a simple method suggested by one iPhone user to get timestamps on his game screens on an iPhone. There may be other ways but thus is the only one that has been proffered. Do you have screenshots with timestamps on them? I respectfully ask for the MT to reconsider its decision to not take this case. "The number one goal of the MT in regards to draw refusals is to provide fair decisions to victims and fair punishments to violators. As draw refusals are one of the worst offenses of unsportsmanlike behavior on the site. . . ."
Under guideline 3.4.1., timestamps are not listed as a hard and fast requirement to prove a draw refusal case. Moreover, the draw situation was clear as my opponent was not attacking, despite multiple requests in the chat to do so. He simply moved his pieces in circles. The board shown in the screenshot evidences that no effort was made to advance game. I also note that there were a total of 312 moves in approximately 27 minutes of play. That many moves in such a timespan, especially in light of my disconnect, supports my contention that a draw was unreasonably refused as many moves were made in quick succession prior to my surrender. Looking at the board and the screenshots, you can tell where his bombs are and where his active pieces are. 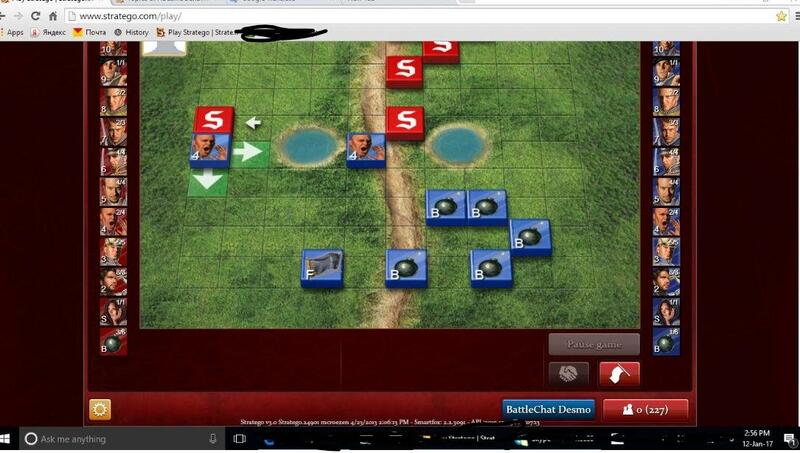 My marshall had two pieces pinned in his bomb formation. There is no dispute that the game was not being advanced. To refuse to reconsider this case will result in a windfall for my opponent, and a unfair punishment for me--merely because I was on a mobile device. The rationale of the rule is frustrated when it cannot be applied to those playing on mobile devices. My opponent refused all three draw requests when the game was clearly, a tie. My inability to provide timestamped screenshots should not bar relief under these circumstances. Again, given the clear and unreasonable refusal to accept a tie in this case in light of the evidence presented, I respectfully ask the MT to reconsider its decision to not hear this case. A case will be opened then . Though ideally all the things listed in the 3.4.1 section of the rules should be included , we can still discuss what other evidence is provided. Without timestamps, it is impossible to know how long has elapsed. A draw refusal does not necessary indict your opponent for unsportsmanlike behavior. 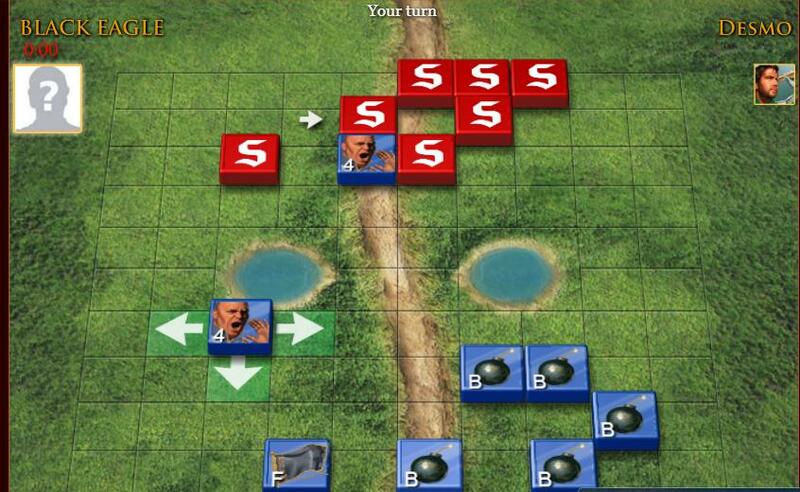 For example, your opponent could choose to attack your setup to try and discover an unprotected flag. There needs to be a way of proving, beyond reasonable doubt, that the defendant is truly guilty of bad conduct. I do agree with you that the timestamps rule is clumsy. I am not a moderator so I can not speak on their behalf, but I would argue it is more fair to consider njphillips's case even if the outcome is not successful for him. Edited by MTinsley, 12 January 2017 - 03:54 AM. MTinsley, the case has been opened and we are indeed looking at it. "proving, beyond reasonable doubt, that the defendant is truly guilty of bad conduct"
statement, I want to say that although we are always open to suggestions about rule changes, the ten minutes rule has been around for years now and should catch no one by surprise. Is it "clumsy", as you put it? Well, maybe. It's certainly arbitrary and mechanical. But the great thing about it is that it's objective. Does 10 minutes between two refusals concretely show bad sportsmanship? No, but it comes pretty close, and it's easy to remember. So there are some good things about it. Other things such as time of game and move counts have been suggested as alternative measures, but no formula as clear cut as the ten minutes rule has been put forth with them yet, unfortunately. Then he waist my time he didnt attack.